"Delivering The Black", the tenth studio album from German/Swedish power metallers PRIMAL FEAR, has entered the official chart in Germany at position No. 13. The CD was released on January 24 in Europe and January 28 in North America via Frontiers Records. After some very intense songwriting sessions and pre-production schedule, the band started to record the new CD in summer 2013 at the House Of Music studios in Germany, with bassist/producer Mat Sinner and engineer Achim Köhler (EDGUY, MASTERPLAN). The band then moved to Denmark in September to finish the album, with acclaimed producer/engineer Jacob Hansen (VOLBEAT, PRETTY MAIDS, AMARANTHE) handling the mix at his Hansen studio in Ribe. 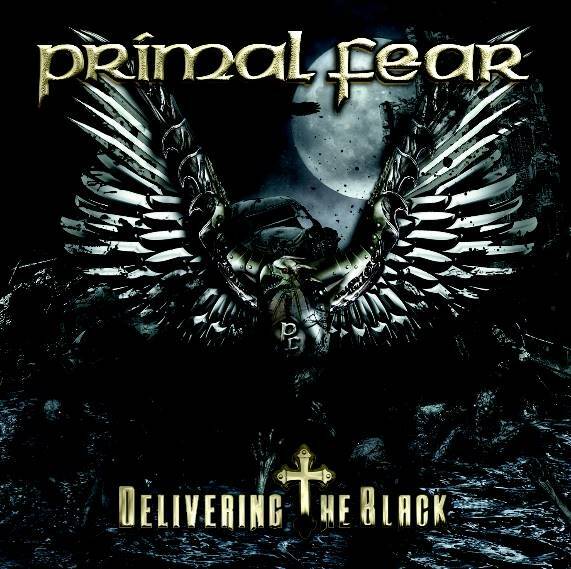 "Delivering The Black" combines the strongest PRIMAL FEAR moments ever, with a well-balanced typical PRIMAL FEAR trademark riff vibe, crushing songs and some very ambitious musical journeys. The centerpiece of the album are two epic tracks, "When Death Comes Knocking" and the 10-minute opus "One Night In December", spiced with big orchestral arrangements and complex sound designs. Classic and ultra-fresh PRIMAL FEAR riff-rockers like the title track, the album opener "King For A Day" or the groove monsters "Alive And On Fire" and "Road To Asylum" hit the bulls-eye just like the untamed speed killer "Rebel Faction". The outstanding ballad "Born With A Broken Heart" shows a new side of PRIMAL FEAR with an acoustic guitar vibe and the addition of Liv Kristine (LEAVES' EYES) on backing vocals. 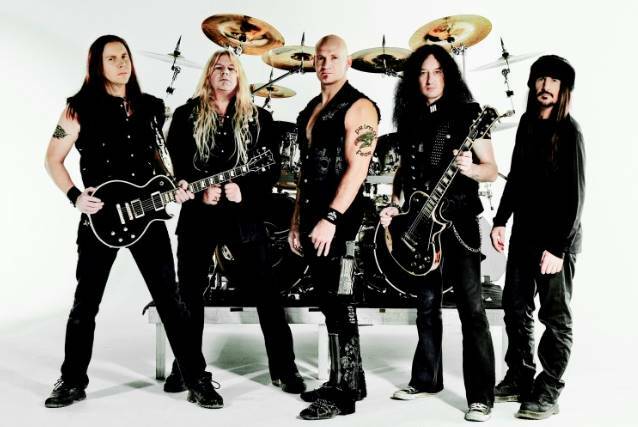 Says PRIMAL FEAR singer Ralf Scheepers: "We worked hard to create our best album ever. I already felt the vibe during the pre-production that we were working on something very special this time. And now the result is just an amazing metal album I'm extremely proud of!" Sinner adds: "The songs, the production, the sound — this album is a very special one for me and my career. In my view, everybody in the band just did a killer job and Jacob was fantastic choice to mix the album!" 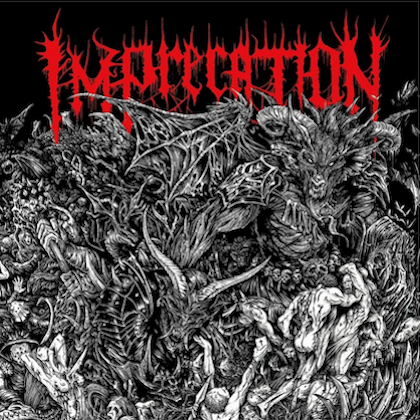 The arrival of "Delivering The Black" was preceded by the release of the digital-only single/video "When Death Comes Knocking" on December 2 — a song which sets the pace for the outstanding quality of production and songwriting displayed on the full album. 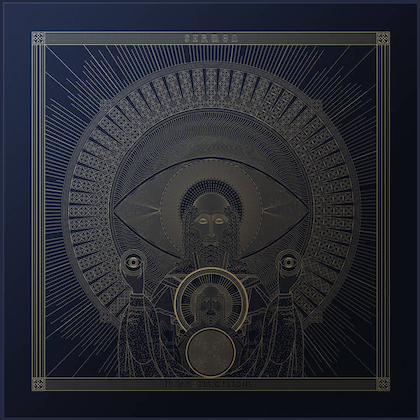 "Delivering The Black" was made available in a regular CD edition, deluxe edition with two bonus tracks and — in cooperation with Soulfood Music — vinyl edition and DVD and limited edition (666 copies only!) of a super-deluxe version, including a metallic eagle. PRIMAL FEAR guitarist Magnus Karlsson is sitting out the band's touring activites during 2014 so that he can spend more time with his "little kids." Filling in for him is PRIMAL FEAR's founding member Tom Naumann. PRIMAL FEAR will return to North America in the spring with a headlining run that is scheduled to launch April 29 in Baltimore, Maryland and wrap on May 24 in Rochester, New York.